Three members of a Palestinian family in refugee camp in Syria were killed after being targeted by air strike in the Yarmouk refugee camp in the Syrian capital Damascus. Eyewitnesses in the camp stated that three members of the Palestinian Al-Khatib family; the father, the mother, their 4-year-old son and their 15 -year-old daughter, were killed after being targeted by shelling in the Yarmouk refugee camp. The witnesses added that "al-Khatib's two other daughters have been seriously wounded, while its son Khalid has survived as he had been outside the house during the shelling." Five shells had been previously fired at Husseiniyeh refugee camp in the Syrian capital Damascus, last Sunday, killing seven Palestinians, including five children. Palestinian sources in Syria reported that two senior Hamas leaders were killed by Syrian army fire in Daraa refugee camp, in Syria. The sources added that Ahmad Khalil, known as Moammar, and Ahmad Al-Kharroubi, were killed by Syrian army sharpshooters in the camp. Their bodies remained on the ground for several hours until the sharpshooters left the scene and an ambulance was able to reach them to transport their bodies to a local hospital. 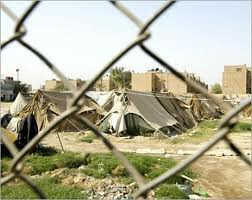 The two were shot in two different located in the refugee camp, and suffered multiple gunshots, the Maan News Agency reported. 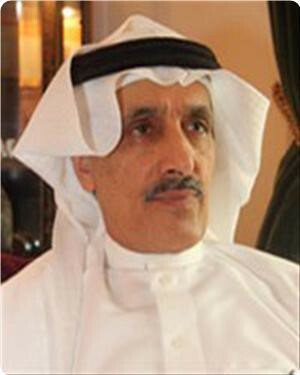 Furthermore, the Syrian TV reported that the army strongly denounced Hamas’s Political Bureau head, Khalid Mashal, who moved out of Syria, as the Hamas movement in Syria moved most of its leaders out of the country after talking a stance against Syrian President Bashar Assad “for crimes committed against his people who are revolting against his regime”. Hamas initially refrained from talking any stance regarding the events in Syria, while some leaders even expressed support to Assad, but the movement later decided to oppose Assad, and most of its senior leaders left the country. Israel and the US, led by presidential election candidate Mitt Romney who is subservient to "rabid war-hawk Zionists" seek to wage war in Syria even if it would cause World War III, says an analyst. Tariq Hamoud, the coordinator of the international working group for Palestinian refugees in Syria, confirmed that the Syrian security forces had attacked a farm belonging to Hamas movement in the area of "Drousha" on the outskirts of Damascus. Hamoud said that the Syrian security forces had confiscated all the properties of the movement in the farm, including dozens of cars, after members of Hamas had to leave Syria when the situation in Syria worsened. He expressed to "Quds Press" agency his concern about the increased suffering of the Palestinian refugee camps in Syria, saying: "The information about the launch of a security crackdown against the leaders and members of Hamas in the Palestinian refugee camps in Syria are not precise, but the situation in the camps, in general, is getting worse and is deteriorating. " The Palestinian researcher and activist also pointed to Thursday's shelling of Deraa's refugee camps and to the increasing number of security and military checkpoints and harassment of Palestinians at these checkpoints. Hamoud noted that targeting Palestinian refugee camps in Syria has become an official policy adopted by the Syrian regime, pointing to the killing of 500 Palestinian martyrs since the outbreak of the Syrian crisis. He also pointed to the sharp shortage of diesel and gas and to the increasing numbers of Palestinians and Syrians displaced to the camps, which aggravated the humanitarian situation there and increased the suffering of the refugees. Sheikh Ali Belhadj, the second man in the Algerian Islamic Front for Salvation, praised Hamas politburo chief Khaled Meshaal's support for the Syrian people's demands for dignity and freedom, considering it as a part of resistance and defending the oppressed. He described the campaign waged by some Syrian and Iranian media against Hamas political bureau, Khaled Meshaal, as an "unfair" campaign. "Meshaal bias to the Syrian people reflects a long-term strategy that must be adopted by every sincere Muslim, so no circumstantial privileges could prevent standing with the oppressed and to address the unjust," he added. Belhadj considered Meshal's support to the demands of the Syrian people for freedom and dignity is resistance itself. Meshal did not change his position on resistance but he expressed support for the oppressed who resist injustice, he said calling on all Islamic movements to stand by the oppressed and not to remain hostage to circumstantial privileges. Meshaal is still on the side of the resistantance, but what was uncovered is the false claims of the Syrian regime that it supports resistance while the same time it oppresses its own people, he added. He praised Meshaal's brave position, calling on all Islamic movements and the free world to stand by him and to support him against this media campaign waged by the Syrian and Iranian regimes. Regarding the Iranian position, Belhadj said that Iran was wrong in supporting the Syrian regime against his people, which goes against Islamic teachings, including that of Shiites, which focuses on supporting the oppressed and resisting injustice. "I do not think that the Iranian regime represents all the people of Iran, certainly there are of them who firmly support the Syrian people in demanding freedom and dignity," he explained. Saudi professor of political science at King Saud university Khaled Al-Dakhil hailed the last remarks that were made in Ankara by head of Hamas's political bureau Khaled Mishaal in support of the Syrian people's struggle for freedom and dignity. 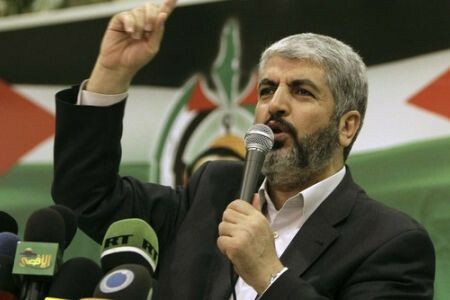 Dakhil said in a press statement to Quds Press that Mishaal, as a man of resistance and politics alike, refuses to make the Palestinian resistance a party to the killing of the Syrian people. "The Syrian regime's accusation against Mishaal or anyone is not considered a demerit, but on the contrary, it is a testament to the fact that it is a criminal regime that has committed crimes against the Syrian people incomparable to what Israel had done for 50 years," Dakhil emphasized. "Khaled Mishaal is a man of resistance and a man of politics as well and he always knew that the Syrian and Iranian regimes used the resistance as a slogan to achieve their goals, but he was forced to take advantage of them because of the Arab weakness," the Saudi political thinker underscored. He accused the Iranian and Syrian regimes of employing sectarianism as a main political conflict tool in the region. "The sectarianism had never been an element in the regional conflict, and did not appear even when Abdulnaser disagreed with Saudi Arabia. It came to the surface only following the Iranian revolution, Al-Assad's ascendance to power in Syria and Hezbollah's emergence in Lebanon," he noted. Head of Moroccan "Unification and Reform" movement denounced Syrian and Iranian media attack on head of politburo of Hamas movement, Khaled Meshaal, due to his support for the aspirations of the Syrian people to freedom and dignity and his demand for a halt of bloodshed in Syria. Mohamed al-Hamdaoui, head of the "Unification and Reform" Movement, stressed that Meshaal's position represents his adherence to principles, to the Palestinian cause and to the rights of Syrian people. He said in statements to "Quds Press" that "Meshaal had previously confirmed his loyalty to Syria", adding that after these scenes of massacres, he expressed his support to Syrian people and their demands to achieve freedom and dignity. Al-Hamdouni added that Meshaal does not deny what the Syrian regime and people had offered to the Palestinian cause, the resistance and Hamas movement, but he can no longer support a system that is killing its people and opposing its demands. The Moroccan activist added that Meshaal's position towards the Syrian people stems from his being the leader of a resistance movement against the Israeli occupation. Thus, he supports the Syrian people who wanted to be liberated from tyranny. 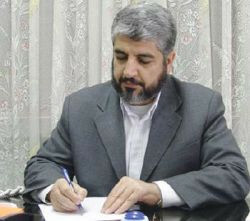 Director of the Islamic political thought institute in London Azzam Al-Tamimi said the scathing attack by the Iranian and Syrian regimes against Hamas political leader Khaled Mishaal reflected the crisis which they are suffering from. Tamimi, who arrived in Gaza last Saturday along with other members of the 16th Miles of Smiles aid convoy, told Quds Press that the Iranian and Syrian regimes launched their media attack against Mishaal after their failure to suppress the Syrian revolution started to loom on the horizon. "The Syrian and Iranian response to the last position of Khaled Mishaal, who sided with the choice of the Syrian people and their legitimate demand for freedom and dignity, was never surprising to me," Tamimi added. He said the Iranian and Syrian regimes have been angry with Mishaal since he refused to support the Syrian regime against its people and decided to evacuate his Movement's offices in Syria when the regime rebuffed all his appeals for sparing the Syrian blood. Hamas expressed concern about the situation of Palestinian refugees displaced from Syria to Lebanon, noting that UNRWA did not start yet to implement the resolution on displaced pupils' education. Hamas’s refugees affairs bureau on Friday said in a statement that a number of families reported that their children went to UNRWA's schools, and joined the classrooms, but were not offered lessons or educational programs like the other pupils. The bureau urged the Agency's administration to activate and accelerate the implementation of the decision which had been issued on this issue. The statement also called for making use of the presence of teachers affiliated with UNRWA, and displaced from Syria to Lebanon, and to teach the curriculums endorsed by UNRWA in Syria. 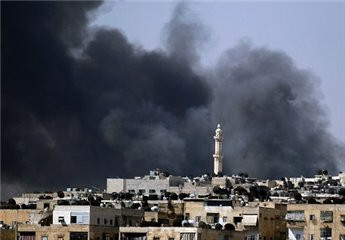 Twenty Palestinians were killed overnight in a refugee camp in southern Syria, a Damascus-based Palestinian group said. The coordinating committee of Yarmouk refugee camp told Ma'an that 20 Palestinians in Deraa camp were killed and dozens injured in heavy bombing by the Syrian army. Sources in Deraa camp said that artillery shells and mortars targeted several streets near the area's mosque. 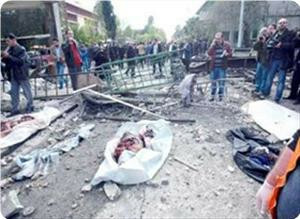 It is nearly impossible to reach the injured, they added, saying that the stench of decaying bodies fills the streets. Last week, the Yarmouk coordinating committee told Ma'an that four Palestinians were killed at a security checkpoint near the city of Aleppo. Their bodies were found on the street and showed indications of an execution style killing, according to the group. 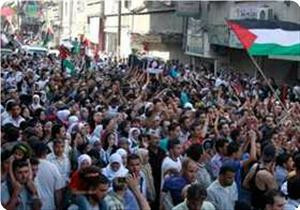 Two other Palestinians were shot dead in their Damascus homes, it said. On Sept. 20, at least 18 Palestinians were killed and their bodies displayed publicly in Damascus, PLO officials in Yarmouk said. Activists say more than 30,000 people have been killed, including 7,000 soldiers and members of the security forces, since protests first broke out in March last year. A commentary by the Syrian state-run TV on Monday 1 October attacked the Palestinian Islamist leader Khaled Mash'al, calling him, inter alia, a traitor. The attack appeared to be prompted by Mash'al's condemnation of the pornographic slaughter by the cultic, sectarian regime of the Syrian people. The esoteric Alawite regime had been accustomed to distributing epithets of patriotism and treason to its friends and foes. However, the ongoing Syrian revolution against the murderous regime seems to have exposed the total bankruptcy of the regime and its supporters. The regime claimed and continues to claim to be a guardian of Arab nationalism and Arab rights against Zionism and Western, especially American imperialism. However the genocidal murder of the Syrian people and destruction of hundreds of Mosques throughout Syrian cities at the hands of the diabolical regime has shown that the regime is probably the biggest enemy of Islam, Arabism and even humanity. The Syrian regime has purchased tens of billions of dollars' worth of military gear allegedly to fight Israel and restore the occupied Golan Heights. However, the scandalous thing is that not only the anti-Islam regime, which uses the rhetorical slogans of Arabism to conceal and blur its nefarious sectarianism, has not fired a single bullet on Israel ever since the 1973 war. Instead, it has used all it arsenal, including the air force, to rain death on innocent Syrians in order to keep his small heretical sect in power for eternity. The tyrannical regime has already killed more than 40,000 Syrians and destroyed as many as 100,000 homes throughout Syria . It has also forced hundreds of Syrians out of their homes, with at least a quarter of a million moving for safety in neighboring countries. And now, the regime is busy destroying Syrian towns, one by one, in order to present the post-Assad regime with the daunting task of rebuilding Syria from scratch. We don't need to defend Khalid Mash'al or President Muhammed Mursi or even Recep Teyyep Erdogan against name-calling by a despicable regime whose leaders should have been shipped like drugged violent animals to stand trial for their incalculable crimes against their own people as well as Lebanese and Palestinians. As we all know, the Israeli Mossad tried numerous times to murder Br. Mash'al. Indeed, it was only thanks to God's providence that Br. Mash'al remained alive. And now the true traitors and mass murderers in Damascus are urinating and defecating from their mouths by calling one of the most honorable scions of the Palestinian and Arab people a "traitor." The hateful regime in Damascus may have succeeded in deceiving millions of Arabs about his true credentials and the true color of his skin. But now, thanks to the Syrian revolution, it ideological bankruptcy, treason and murderous nature have been exposed to all and sundry. The Assad regime's expectations that Hamas and other Islamist groups and entities would side with the regime against the people of Syria are really beyond the pale of reason and decency. The Palestinian person, especially Hamas, has no grudges against minorities in Syria. Palestinians and Arabs in general are not against the Alawite minority because of its heretic religion. Everyone should be free to practice their religion. However, the Alawite regime in Damascus has no right to destroy Syria and exterminate its Sunni population in order to keep the Alawite sect in power. The statements attributed to Br. Mash'al in which he voiced his support for the Syrian people's revolution are a principled moral expression by the leader of an Islamic liberation movement. Hamas, which is struggling for freedom from the criminal Zionist regime, can not possibly fight oppression and criminality in occupied Palestine while supporting even greater oppression and criminality in Syria. Such a stance would be morally indefensible to say the very least. Let us be crystal clear. When Khaled Mash'al praised the Syrian revolution while in Ankara, he was reflecting the true feelings of 99% of the Palestinian people as well as the vast majority of Arabs and Muslims around the world. In a nutshell, Mash'al was simply being faithful to Islam, human decency and true Arabism. We salute him for his honesty and rectitude. As to Assad, the murderer of his own people, he, too, has been true to long traditions of treason, perfidy and collaboration with colonialist powers and enemies of Islam and the Arabs. A few weeks ago, the French ambassador to the United Nations reportedly surprised the Syrian envoy to the international organization with a document dating back to the 1940s and detailing the collusion of leaders of the Alawite sect with the French colonialist authorities. The document also showed the grandfather of President Assad, Suleiman al-Assad, imploring the French government to keep its mandate over Syria. The document revealed a treasure of information exposing the treachery and perfidy of the Alawite sect. especially its collusion and collaboration with the French occupation authorities. Five Palestinians were killed, Tuesday, as the Syrian army bombarded the Dir’a refugee camp, in Syria, during clashes between the army and members of the opposition in the country. Several refugees were injured, some seriously. The five slain Palestinians were identified as Hassan Ta’aany, Mahmoud Khalifa, Mohamamd Freij, Wael Abu Al-Ajar, and Abdullah Al-Masry. The Palestinian Information Center reported that the refugee camp was heavily bombarded during the clashes, and that several homes were damaged and burnt in the eastern area of the camp. 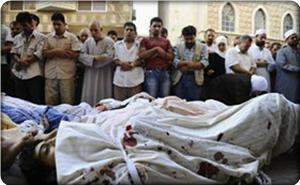 On Wednesday, September 26, six Palestinians were killed in the Syrian capital Damascus and the city of Aleppo. The six were killed execution style; four of them were reportedly killed at a roadblock near Aleppo, while two were killed in their homes. 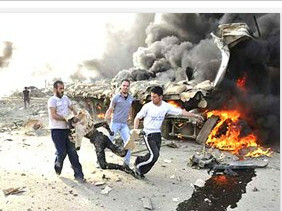 Hundreds of Palestinian casualties have been reported since the revolution started in Syria in March of 2011.